It’s that time of year again. So this year you don’t want to do the same old thing do you? 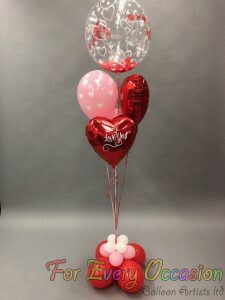 Balloons are Fun, Colourful, Create Movement, Make People Smile and show you thought differently this year. 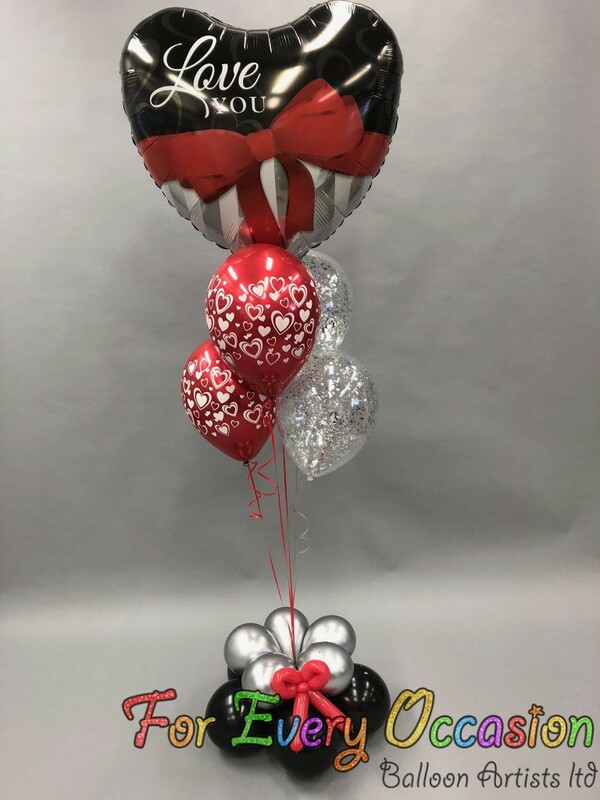 This beautiful design combines tradition foil and latex balloons with the brand new Chrome finish latex balloons, they actually look like metal. 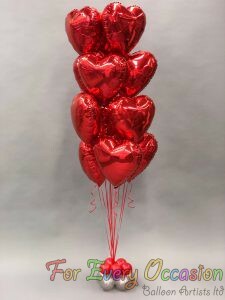 How about a dozen Red Heart Balloons? Will you Marry Me? – It’s one of the most romantic days of the year to ask this question. Below are some pictures of one of our previous proposals. YES the ring is inside the balloon!! 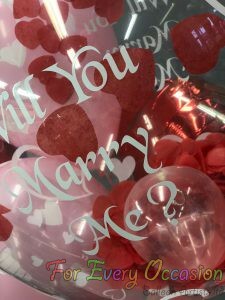 We have a great range of Valentine’s ideas in the studio or if you would like to order out of ours we have a couple of options for you. 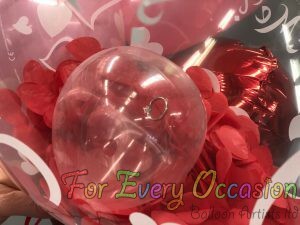 You could order from our Click & Collect site enabling you to order balloons then collect them on your chosen date. Click Here to see more. 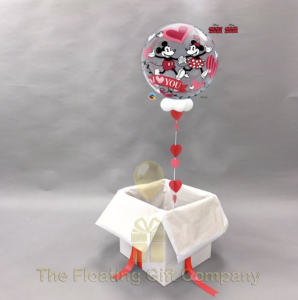 You could have a beautiful Floating Gift delivered to your loved one by our partner The Floating Gift Company Click Here NOW to see a range of Deliveries. 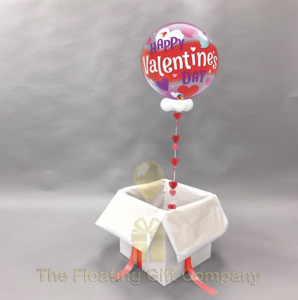 Here are a selection of Valentine’s Floating Gifts. 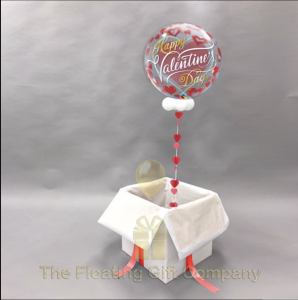 We look forward to helping you surprise your Loved one this year.